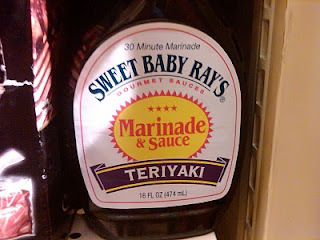 Instead of doing our weekly Monday Sweet Baby Ray's review, TCB would like to present some evidence from our recent Windy City Condiment Road Trip (the hometown of SBR). Exhibit #1 (see above): This little pic jumped out at me during a late-night convenience store run. 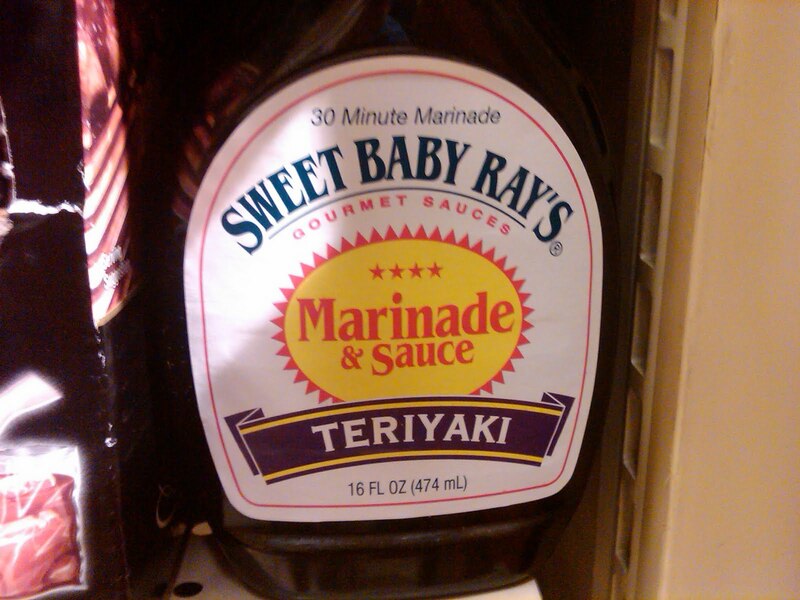 I didn't know SBR produced a marinade, let alone a teriyaki sauce (there's no evidence on their new product page). Because I saw this bottle at an inconvenient time (4AM + Jaeger Bombs + new SBR bottle = empty SBR bottle, followed by projectile vomiting), I didn't pick up a bottle, so I can't report on its awesomeness. Disgraceful to the trade, I know. Exhibit #2: Now Ray and his boys are just screwing with us. 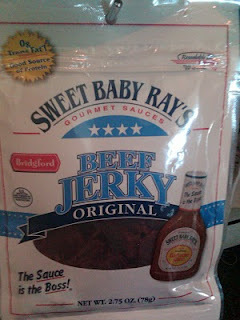 Sweet Baby Ray's Beef Jerky?! Original flavor (implying other delicious flavors are out there somewhere)?! I don't travel much in Middle America, so I'm not sure if this is just a Chicago thing, but c'mon, Ray. Share the wealth!